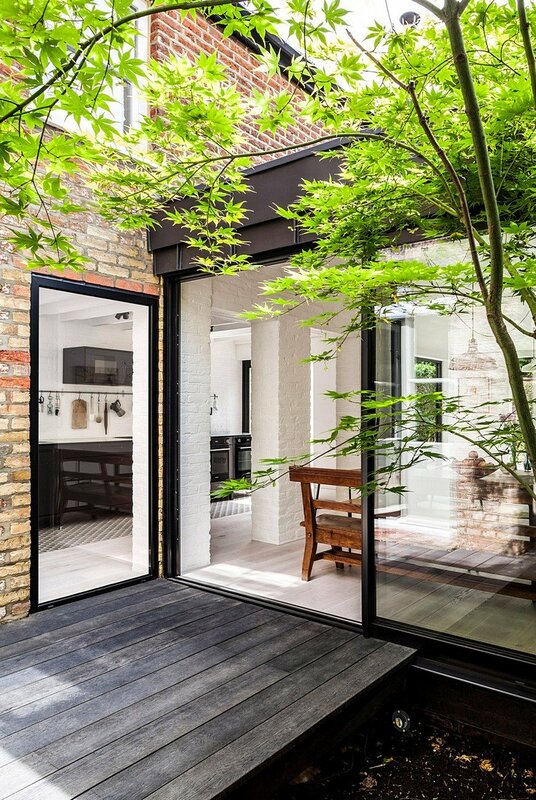 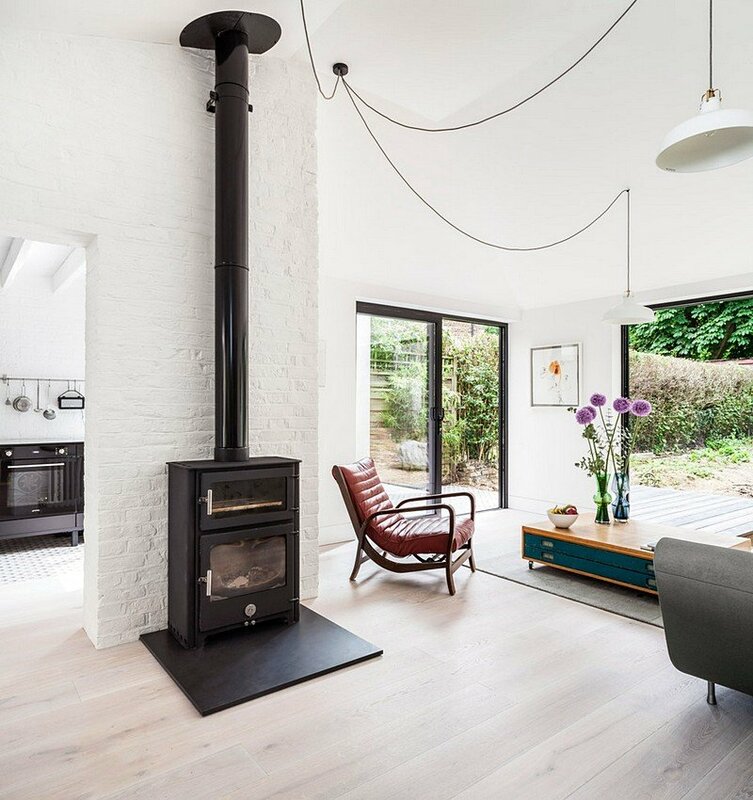 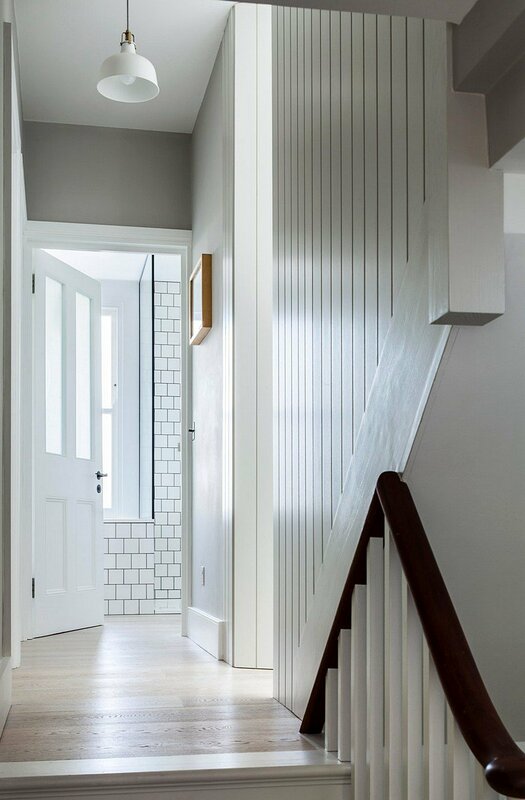 “Pages Lane” is a extension project completed in 2016 by Kirkwood McCarthy, a London based architecture and design studio established in 2013. 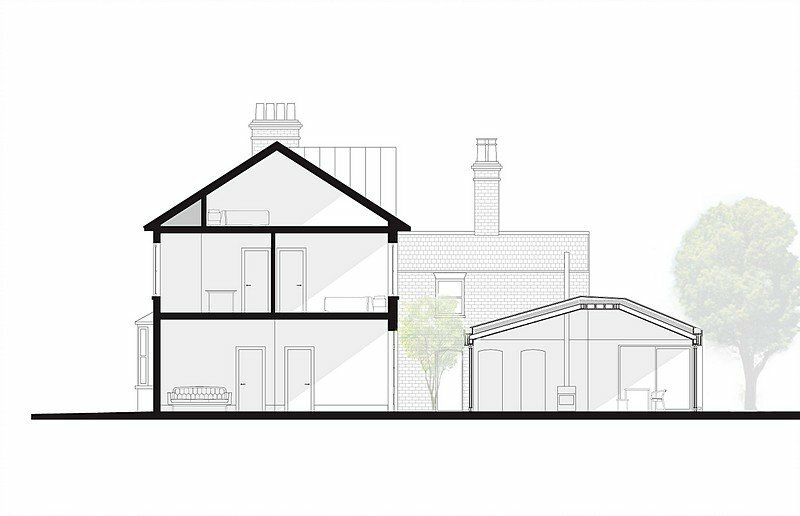 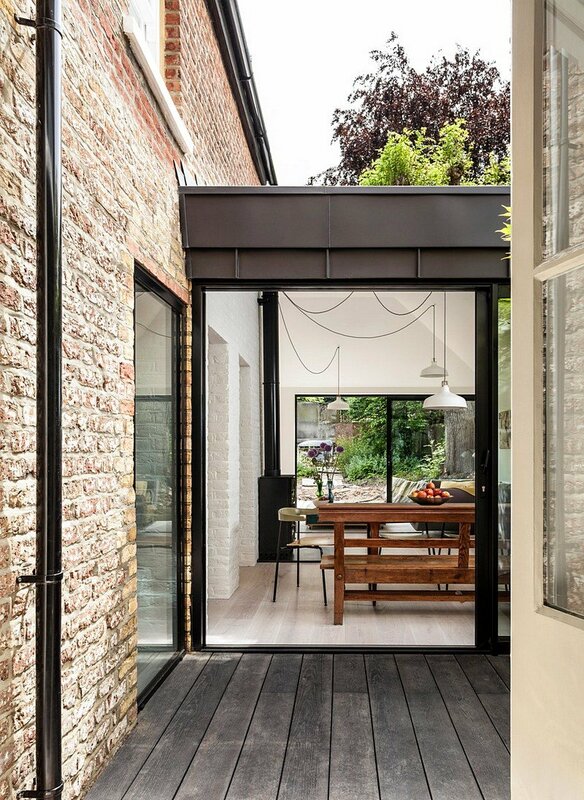 A Victorian semi-detached property has been transformed into a garden linked family home with a new rear ground floor wing that encloses on the Western boundary to form a courtyard. 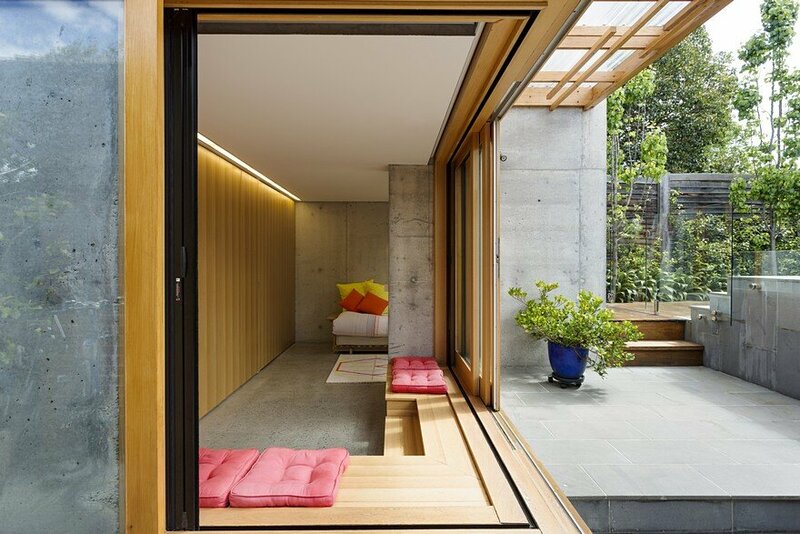 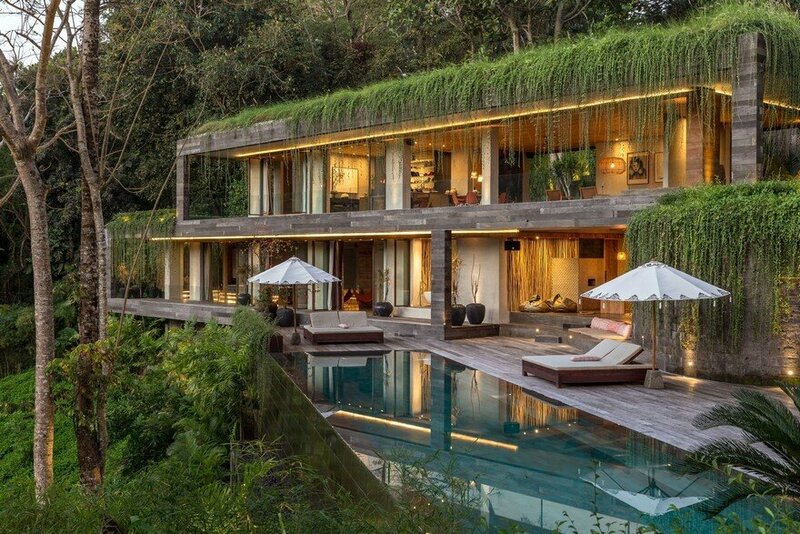 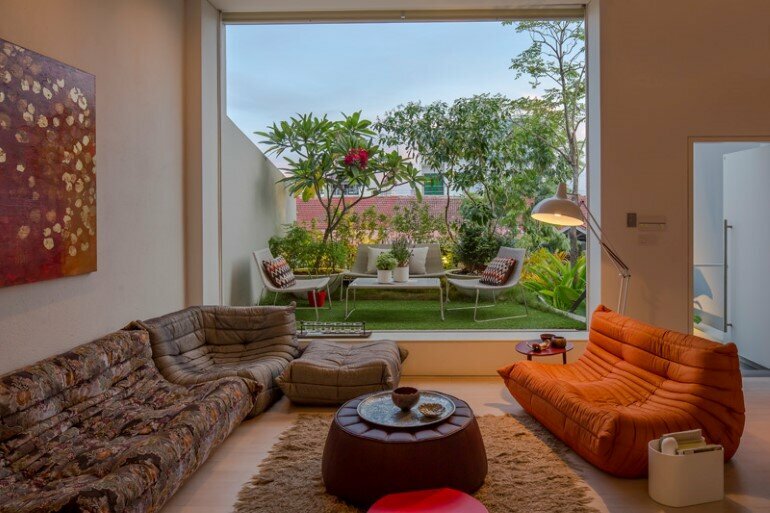 At once widening the existing footprint and better capturing the southern garden aspect, the courtyard brings a connected, sun-filled sequence between the various living spaces and opens out the formerly dark and introverted plan. 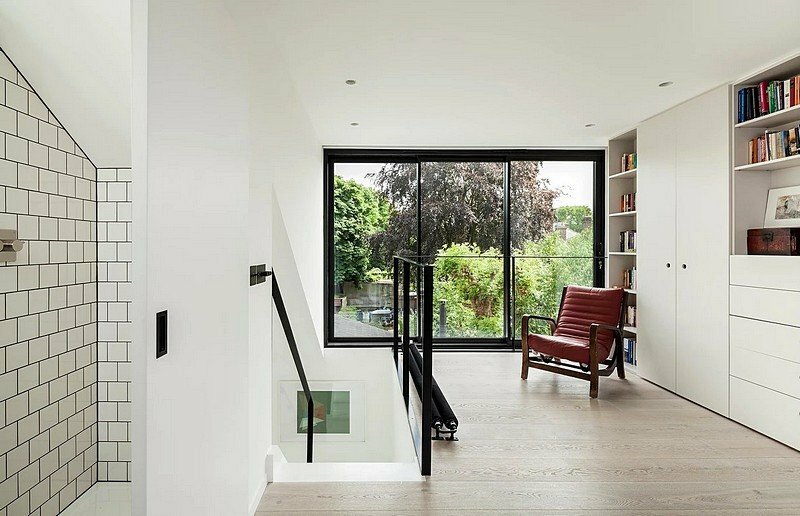 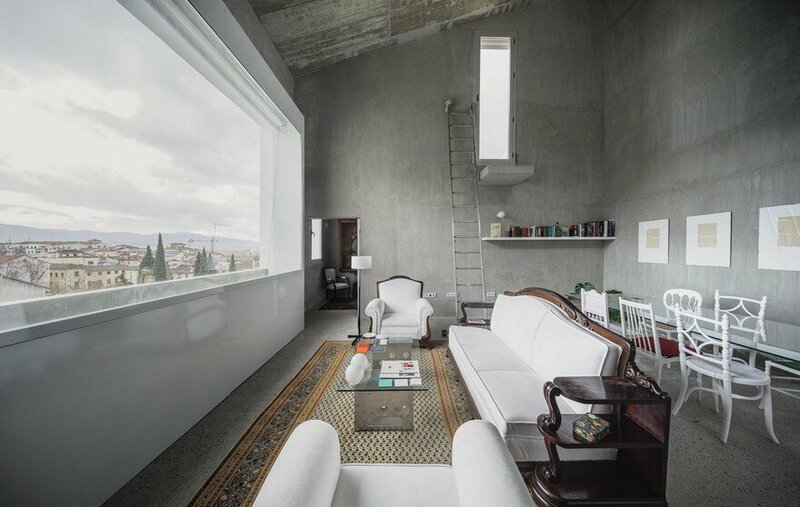 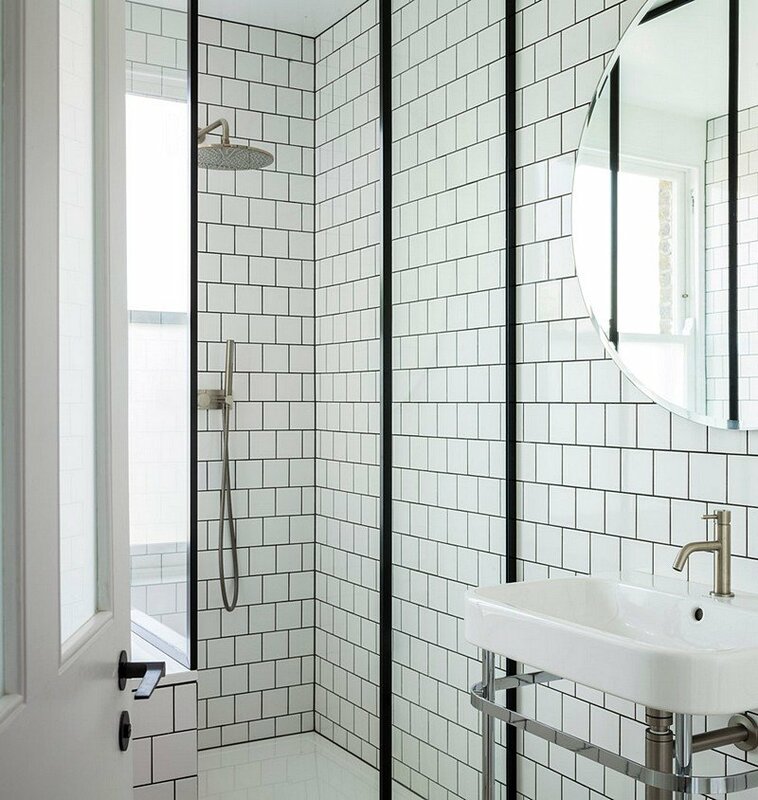 A clear distinction between old and new elements is realised by the material palette. 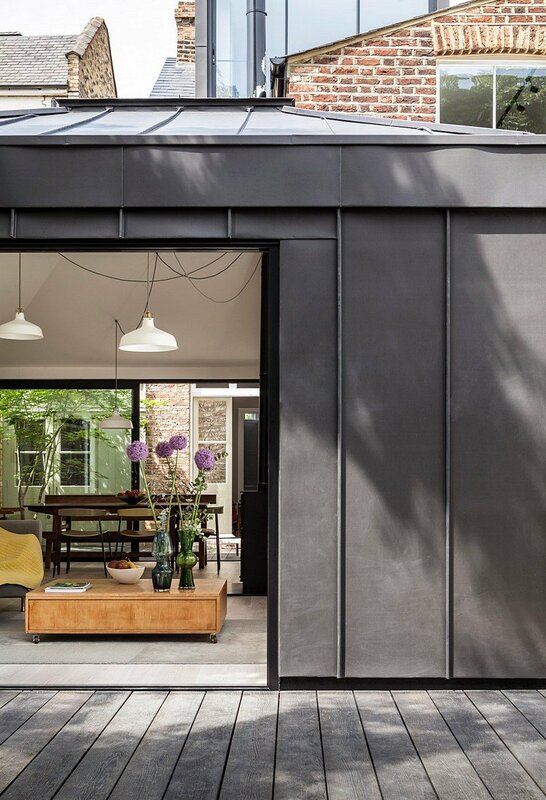 For new elements graphite zinc, black steel and minimalist detailing are used to distinguish against the softly textured brick and timber panelling to the original house. 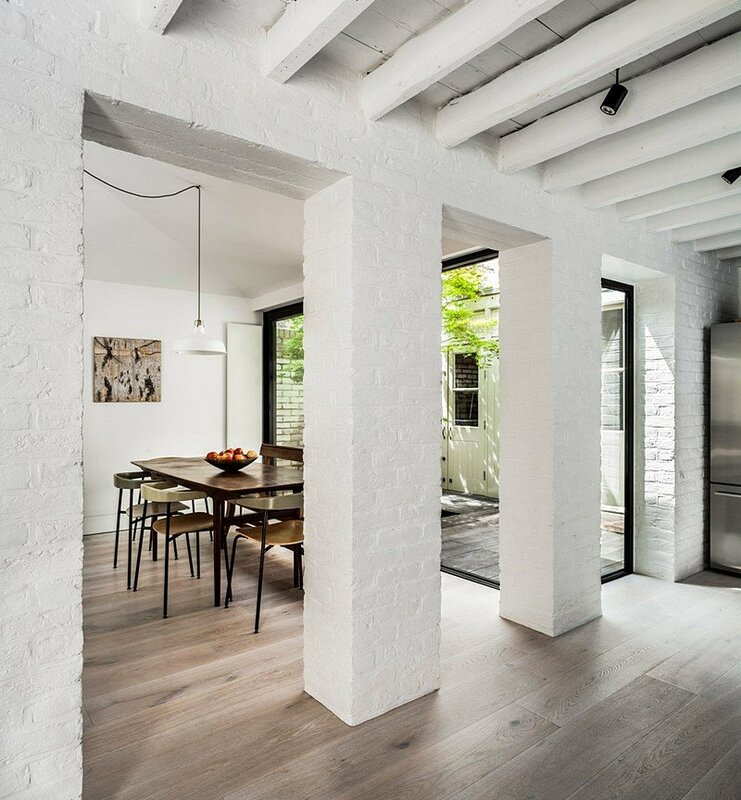 The existing built fabric has been restored to its original intent; openings remain and the timber sash windows restored. 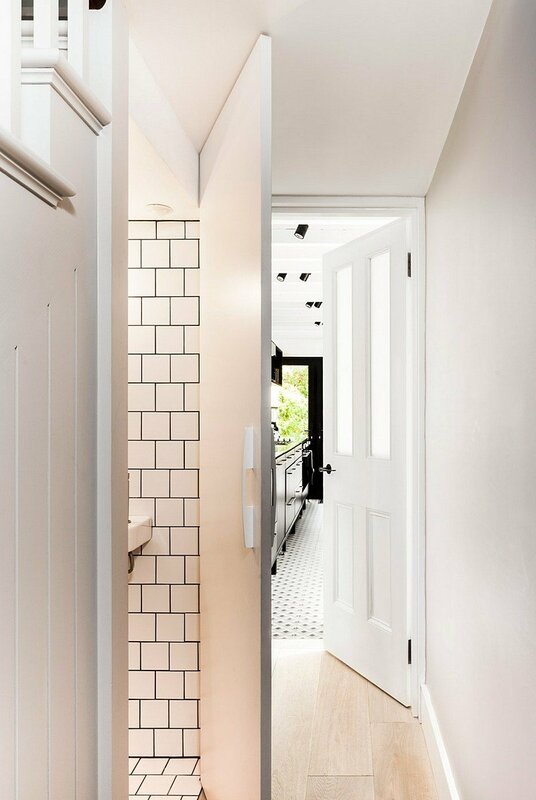 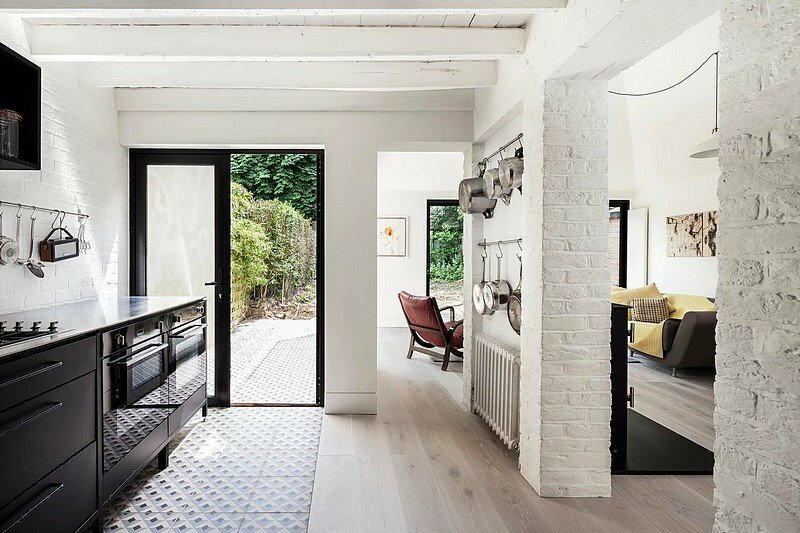 In the kitchen, openings were dropped to floor level and serve as portals leading into the new wing, subtly denoting a threshold between old and new.